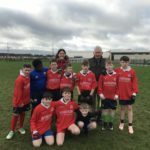 Our Kennelly Cup Finals took place on Friday 25th Jan. What has now become a huge event in our school calendar lived up to all our expectations with the games celebrating everything that is good about sport. The boys involved gave 100% commitment and showed great levels of skill and talent. 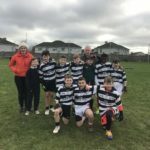 After 2 months of Gaelic and extra time in the Final the minimum margin separated Ms Fennin’s and Ms Walshes’ Teams with Ms Walsh’s team winning by a single point. The Cup was presented by Mr Kennelly to the successful captain, Cillian Gregory. 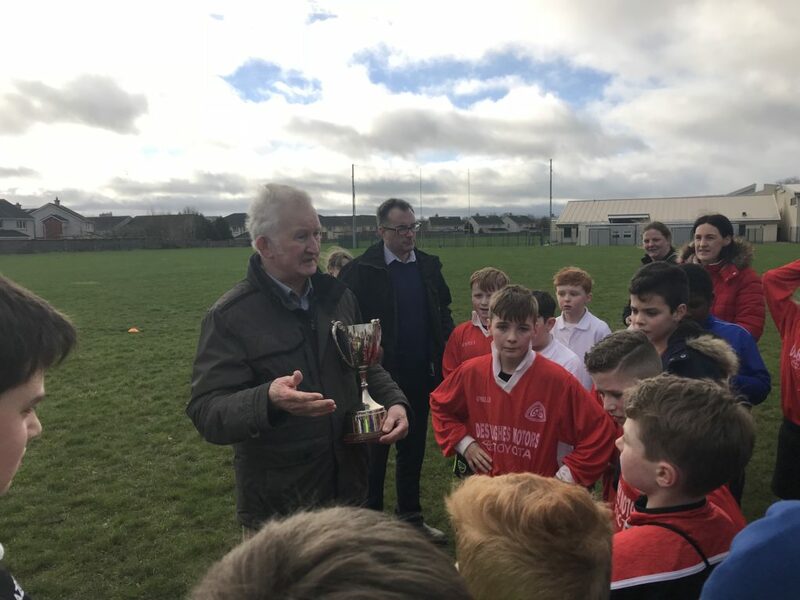 Mr Kennelly as always had some great of wisdom for all the prospective players. We look forward to the nominations for Player of the Tournament and Most Improved Player over the next few days.